They’re also a stand out in the winter vegetable garden being cold hardy. I’ve had mine covered in snow and frosts and you can still harvest them. 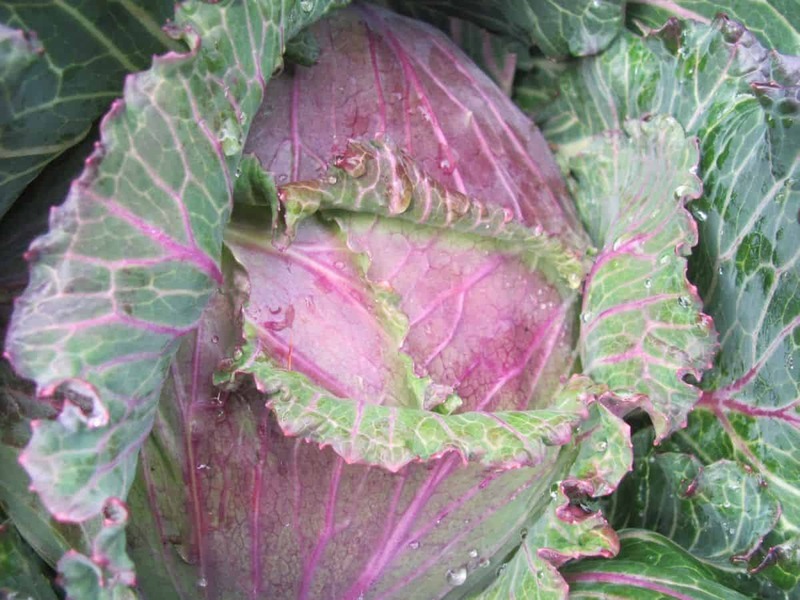 January king is a beautiful green and purple cauliflower that’s color intensifies with the cold. 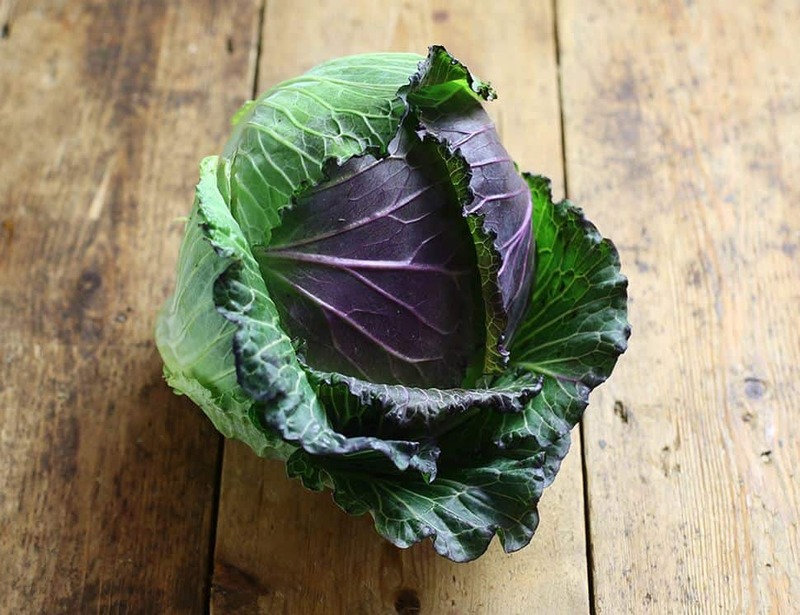 This is an heirloom cabbage that’s not only cold hardy, it has a wonderful taste and more sweetness from the added frosts. 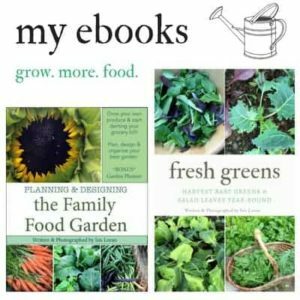 If you live in a place that gets a mild winter, you can harvest them all winter long. I’m gardening in a zone 5, and have harvested ours in January after a thaw. 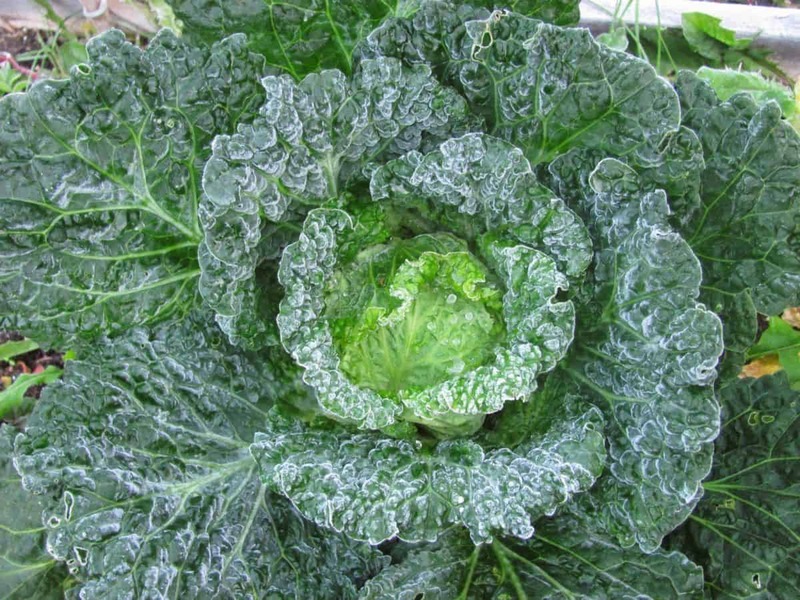 Many of the cold hardy cabbages have savoyed leaves, but some like the Danish Ballhead aren’t. 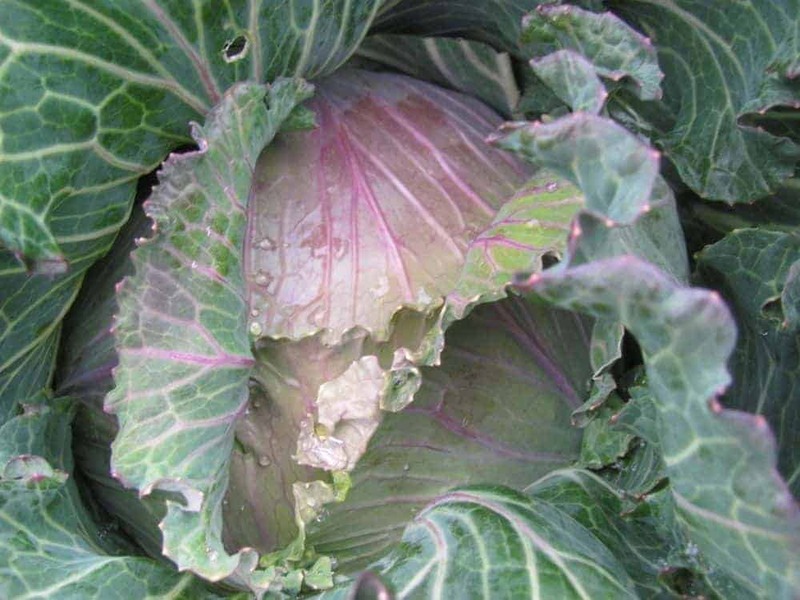 These winter cabbages can handle cold temps as low as 12°F (-11°C) unprotected. You can also grow them in an unheated greenhouse or low tunnel to make them last longer in the winter. 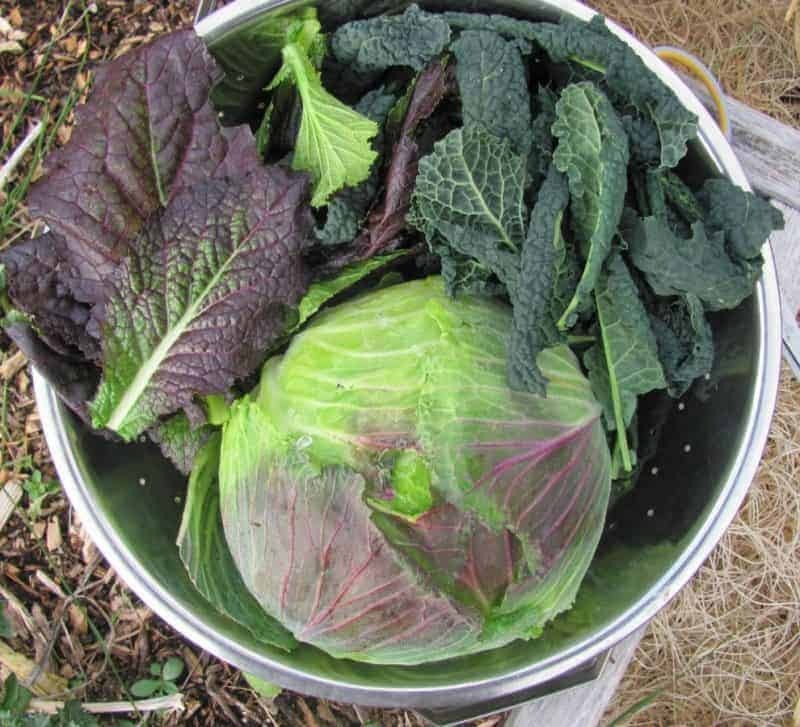 In general, your winter cabbages will take about 100-120 days. 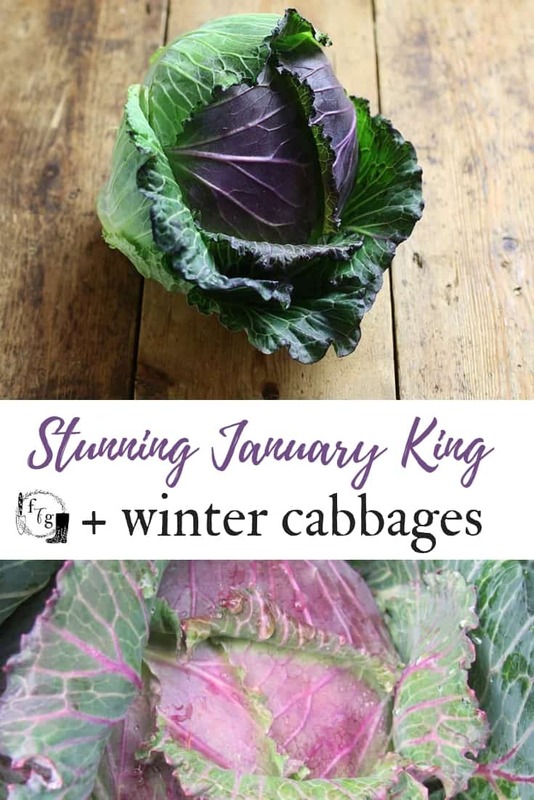 January king cabbages can take up to 200 days until harvest. That means they take up an area of your garden that you won’t reap the benefits until much later. 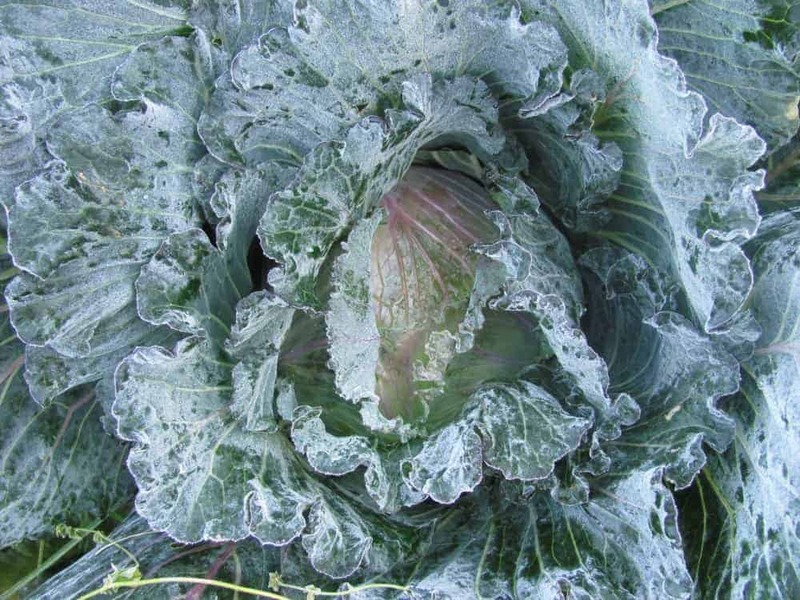 However, being able to harvest a cabbage after frosts or snow is amazing. Winter vegetables taste better after they’ve thawed out. If you harvest them frozen the consistency isn’t great. If your winters mean frozen for many months, harvest them before it gets into those colder temps where the ground stays frozen. Where we live, we often get mid-winter thaws where it goes above 0C. 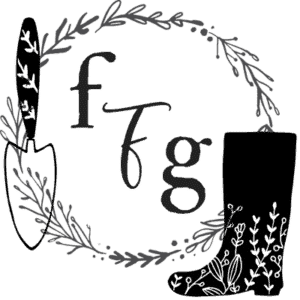 This is the time we harvest our winter vegetables in the unheated greenhouse. In general, most seed catalogs will mention cold hardy with their varieties. 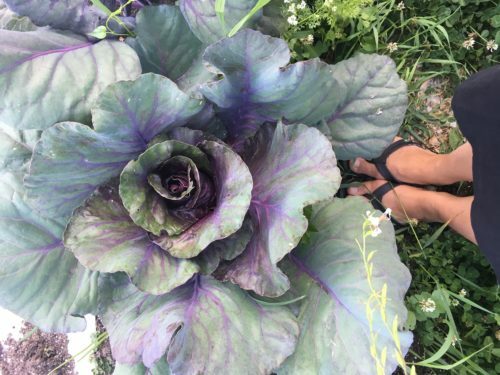 Even though they take up space, winter cabbages are pretty and a great cold hardy addition to your garden. 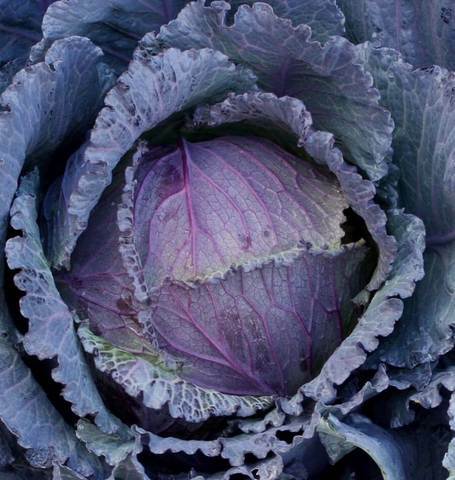 Have you grown winter cabbages? What is your favorite variety? After trying to grow Deadon two summers in a row, I’m sticking with January king. I’m not sure why Deadon wasn’t a success for me, but for some reason they had a harder time with the summer heat and drought we’ve been getting. Because they take such a long time in the garden, mulching them can help to retain moisture. 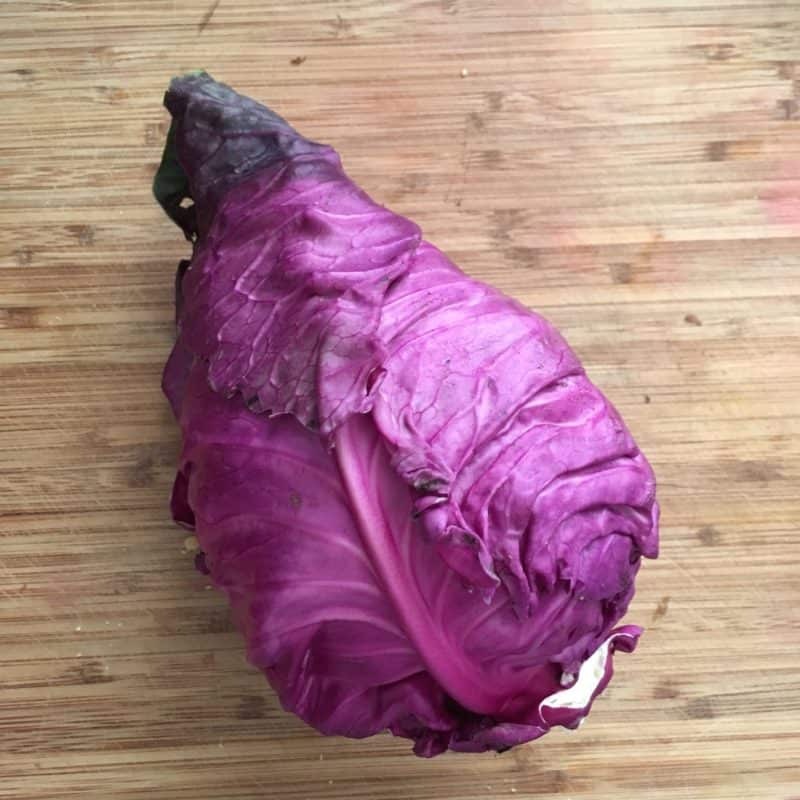 I’ve had luck with smaller savoy cabbages, and I’d like to grow more Napa cabbages, I just need to get the timing right.